Our spa and salon furniture and equipment are designed and determined to bring out the uniqueness of each beauty station. Whether you are looking for any one item or a full salon makeover, we are here for you. Our staff is professionally trained to give you an expert and honest advice. 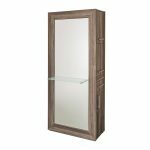 Our goal is to offer the finest spa and salon furniture Calgary while keeping the prices affordable. To achieve our goal, we carefully select our materials and suppliers. 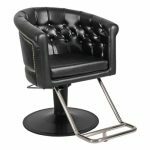 We don’t just offer exquisite styling chairs, we also have a variety of chairs aimed to make salon life easier for your customers, barbers, and receptionists alike! 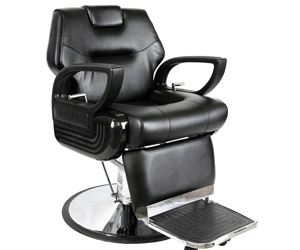 Our shampoo chairs are designed keeping the highest level of comfort in mind. Shampoo chairs along with one of our salon trolleys, can deliver one of the best shampoo experiences! Treat your spa or salon receptionist with one of our high-quality reception desk. With a comfortable desk, spending all day speaking with clients will be much easier for them. These stylish reception desks will also give your beauty station a highly professional look. 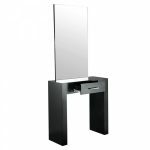 Don’t miss out on the stunning range of spa and salon furniture Calgary for sale at our online store.All of our spa and salon equipments have personalities, and so does all of our salon furniture; which is why we are confident that our products tell their own unique stories. 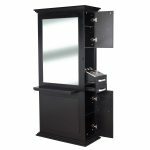 Browse our wide range of equipment and furniture that fit into your salon and transform its look. Want to pair your salon chairs with one of styling stations? 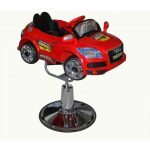 We’ve got an extensive selection of high-quality styling stations to choose from. We are very sure one of them will win your heart. 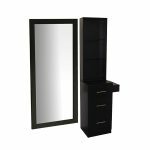 Browse salon furniture depot today. If you need assistance in selecting a specific product or support service, please contact us.